About 4 years ago, the first Lego set entered our house. I think it started with a present for the first birthday party that my son was invited too. After that, it was only a matter of time before I gave in to my son’s pleas for a Lego set of his very own. I admit that, over the years, I have enabled my son’s Lego addiction. Yes, you read that right, addiction. My most recent enabling gift, this past Christmas, was a remote control train set built of Legos. During one of my many attempts to tidy the “Lego Room,” I made a note to myself to find out which plastic material the Lego company uses. I work in the plastics industry, so I was naturally curious. There are so many different sized bricks and colors, supporting parts, doors, windows, and figures in a variety of themes-a myriad of pieces beyond belief. The design and manufacturing process must be impressive to say the least, I thought. So here’s a brief rundown on the history of Legos and how they&apos;re made. A carpenter from Billund, Denmark named Ole Kirk Christiansen started making wooden toys in his workshop in 1932. His company came to be called “Lego” in 1934 from the Danish phrase “leg godt”, meaning “play well.” In 1947, the company expanded to producing plastic toys. An early version of the now famous interlocking bricks started to be produced in 1949. 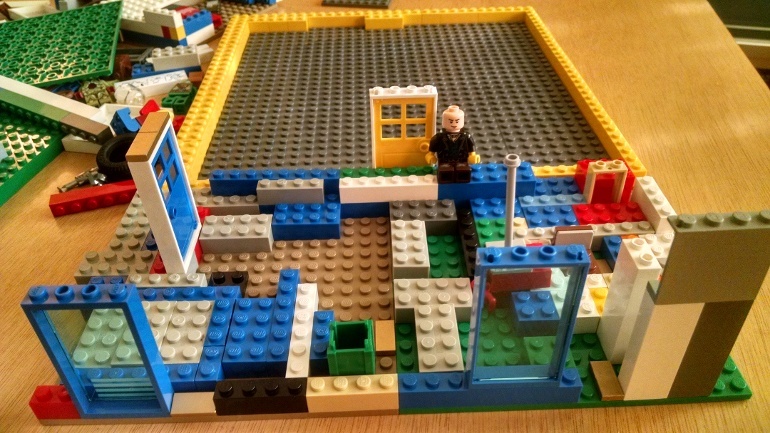 By 1954, Christiansen’s son, Godtfred saw the immense potential in Lego bricks to become a system for creative play. (I’d say hit a home run on that one. ) In 1958, the modern brick design was developed to address limited locking ability and versatility. It took another 5 years to find the right material, ABS. In 1958, the modern Lego brick was patented. 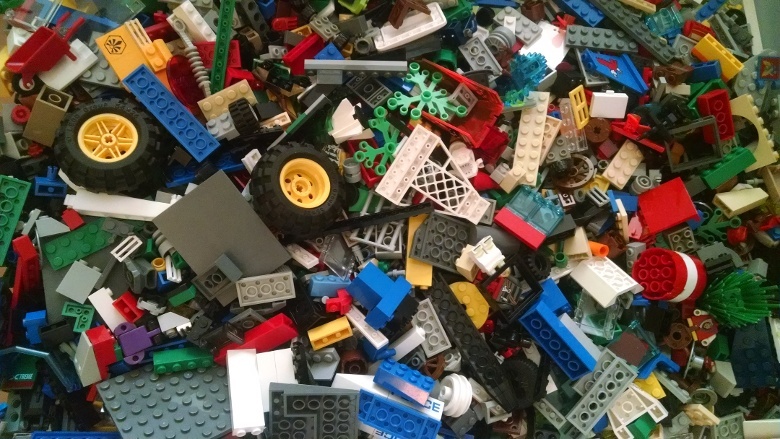 ABS, or acrylonitrile butadiene styrene, is the plastic used in the most modern Lego elements. This is just one of the materials we are familiar with at Craftech, where we machine parts out of ABS bar stock and injection mold the resin form. The butadiene component (a derivative of natural rubber) is largely responsible for the strength and impact resistance of this plastic. The modern formula for ABS was developed as part of the war effort in the mid-1940s. Bayer AG, a German chemical company, had long been the exclusive supplier to the LEGO group. It spun off most of its plastics business in 2004 into the newly-formed Lanxess AG. Virtually all plastic used by LEGO is a proprietary version of Lanxess’ Novodur ABS, Makrolon polycarbonate (for transparent elements) and Macrolex dyes for coloring. Delrin or nylon variants are used to make cloth and string elements. Legos are injection molded. Silos of material are available with pipes that feed plastic granules to the molding machines. Each silo holds up to 33 tons of granules. The molding process is almost completely automated. The molding machines heat up the granules to a temperature of about 450°F (230°C). The plastic is then fed into molds. The machine applies hundreds of tons of pressure to make sure the bricks are shaped with perfect accuracy. They are then cooled and ejected, which takes about 10 seconds. Finished pieces go down conveyor belts into boxes. When the boxes are full, a radio signal is sent by the molding machine to robot trucks that patrol the hall. The robot trucks are guided by grooves in the floor. Boxes are brought to an assembly hall where a giant printer stamps decorative details on faces, control panels, numbers, and words. The last step is putting the right components together to make a LEGO set. Boxes, called “cassettes,” roll on conveyor belts underneath the bins that hold each type of piece. The right number of pieces is automatically released into each cassette. Package operators close the boxes and add additional pieces and building instructions. I feel a little more enlightened now about this product and what it takes to get it on the shelf. I may have this product in my house for a few more years, since son #2 is already been hard at work adding to his brothers’ masterpieces. Are your children in love with Legos? Tell me your Lego story in the comments section below. 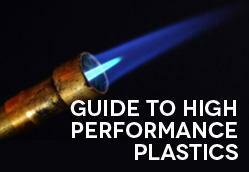 Looking for more information on ABS and other high performance plastics? Download our free material guide! « How Do Engineers Evaluate Plastic Materials and Material Strength? We do not have access to the particular grade the manufacturer uses.